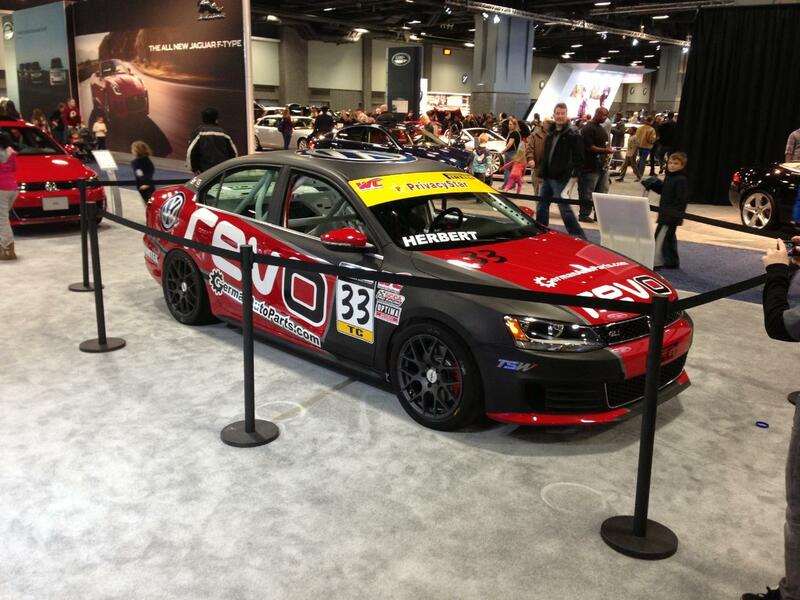 Tristan Herbert announced at the Washington DC Auto Show that he will be piloting one of two 2013 STaSIS REVO Group Volkswagens in the 2013 Pirelli World Challenge. Herbert exploded onto the 2011 pro racing scene in St. Petersburg setting the pole and winning the race. His accomplishments continued throughout the season as he amassed five podium finishes and culminated with earning the 2011 Pirelli World Challenge Touring Car Rookie of the Year. Grassroots Motorsports Magazine awarded his team’s independent privateer efforts with an Editor’s Choice Award as one of the Top 20 Achievements for 2011. STaSIS REVO Group and Brimtek Motorsports have aligned with Volkswagen of America, Inc. contingency program which is one of the largest of the manufacturers in the series. Volkswagen of America, Inc. has strongly supported the series in the past several years. Building on a successful rookie year in 2011, Herbert moved from a Volkswagen GTI to a 2012 Jetta for his second season in the Pirelli World Challenge. “I am very excited to be partnering with STaSIS REVO Group, a multinational organization that integrates industry-leading hardware and software to power complete product lines for Volkswagen Vehicles. I have always loved Volkswagen’s and have been club racing them for years. I decided to switch to the new MK6 Jetta GLI platform for 2012 because of its cutting edge technology and DSG transmission” stated Herbert. 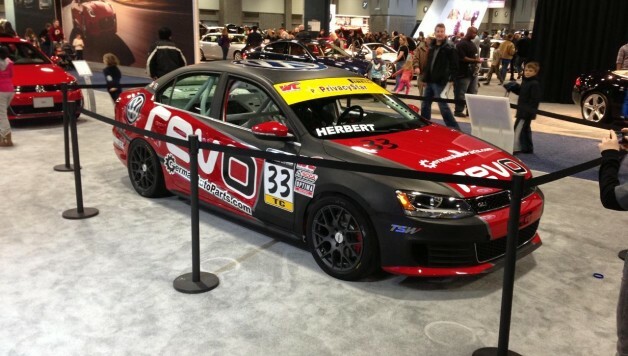 Based on the great results Herbert had in the Jetta GLI, with three total podium finishes including two first place victories and three pole positions, he will be staying with the Jetta for the 2013 season. This year the platform will be a 2013 Jetta GLI, which is currently being showcased in the Volkswagen booth at the DC Auto Show. STaSIS REVO Group has signed on as a primary sponsor for the Volkswagen Jetta GLI effort. “Revo and SRG are thrilled to support Brimtek Motorsports and Tristan Herbert in their 2013 assault on the Pirelli World Challenge race series. As a former team owner and race car builder with two championship titles in Volkswagen racing, I am personally looking forward to assisting in the team’s performance and success. Brimtek’s proven race bred operation and series insight are a perfect technical and engineering fit with our resources. In Tristan, we have a most talented and exciting driver who is local to and familiar with our US headquarters and testing facilities based at his home track Summit Point Raceway. We cannot wait to start the final shake down and set up later this month.” said Mark Yates, SRG’s Chief Technical Officer. Herbert is looking forward to continued partnership with two other integral sponsors. Germanautoparts.com has signed on as the team’s primary parts provider. Germanautoparts.com is staffed by passionate professionals, well-versed in both driving and parts, making them a natural fit for the team. Brimtek, Based out of Northern Virginia, is also continuing its support for the team. Brimtek is a leading strategic support company for various Federal and Military branches. Herbert has his sights set on the checkered flag at Circuit of the Americas. This tripleheader weekend kicks off the Pirelli World Challenge Championship series on May 17th, 2013. This will be a new launch of a remarkable season for Tristan Herbert and his team.